The Bullet Journal Method is about much more than organizing your notes and to-do lists. It’s about what Carroll calls “intentional living”: weeding out distractions and focusing your time and energy in pursuit of what’s truly meaningful, in both your work and your personal life. It’s about spending more time with what you care about, by working on fewer things. 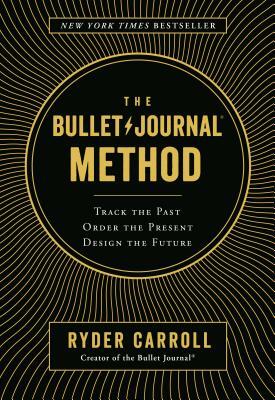 Ryder Carroll is a digital product designer and inventor of the Bullet Journal. He’s had the privilege of working with companies like Adidas, American Express, Cisco, IBM, Macy’s, and HP. He’s been featured by the New York Times, Los Angeles Times, Fast Company, Bloomberg, Lifehacker, and Mashable. Leah Trouwborst is an associate editor at Penguin Random House who seeks out books on new systems, strategies, or vocabulary that help us reach our goals. Editing Ryder’s book made her hold a mirror up to all the unintentional habits that were draining her energy, disrupting her life in the best possible way.